Spring at Mapperton always delivers colourful blooms and baby lambs, but this year it has also seen the transformation of one of our most important buildings into Dorset’s finest wedding venue. The 17th century south stable block with its exposed stone walls and original timber beams has had the makeover of a lifetime, now emerging as the graceful and elegant Coach House. 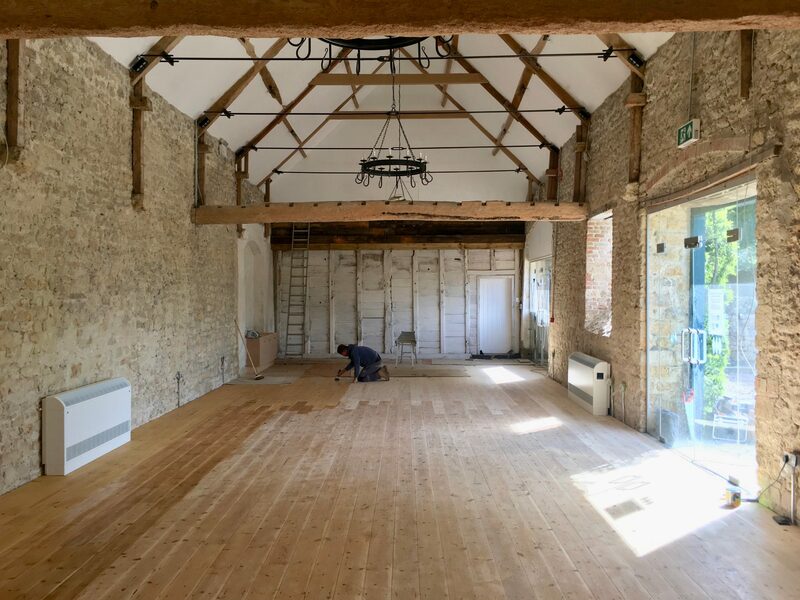 The stone has been repointed, the walls have been lime washed and the roof has been insulated, while specially commissioned wrought iron chandeliers hint at the sophistication of the events to come. We are extremely excited to show you our new wedding venue, so what better way to spend your weekend than to wander round the gardens with glass in hand, while a member of our wedding team helps you dream about your perfect day? If you would like to book a visit please don’t hesitate to get in touch by emailing jenny@mapperton.com or calling her on 07576 141491. And remember there is 10% off all bookings made before our opening at the end of May!